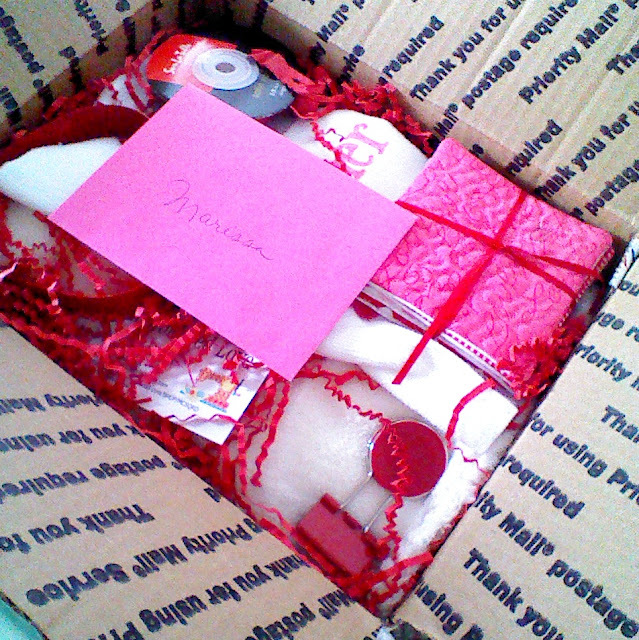 I recently had the pleasure of participating in a Valentine’s themed mail swap hosted by Bonnie of Pink Stitches. I already shared the tote I made for the swap but I also made a fun purse hanger to go along with it. This is what I sent to Martha. 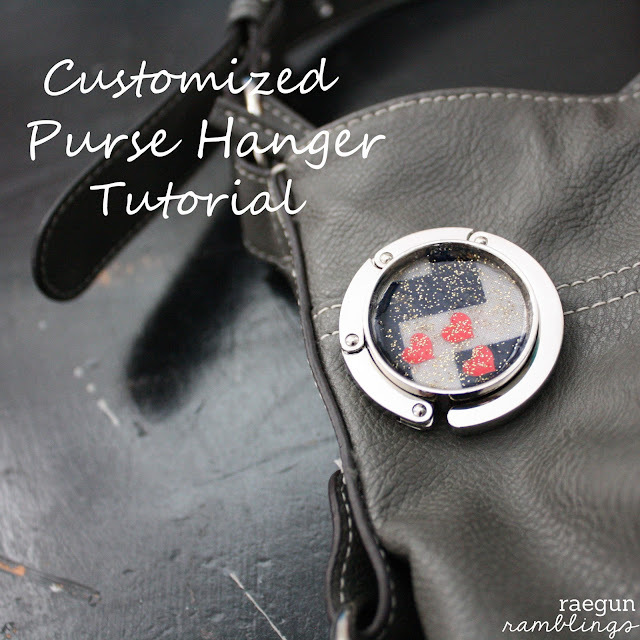 If you’ve never used a purse hanger they are amazing inventions that keep your purse off the ground. I throw my purse all around at home so I absolutely hate having to set it on the ground at a restaurant or elsewhere and purse hangers definitely make that possible. I’ve seen a couple different styles but I love the compact type that folds into itself. 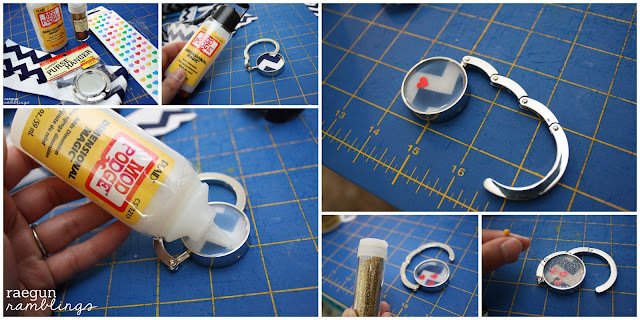 All you need to do is cut out fabric or scrapbook paper to line the bottom of the purse hanger. Then glue that in. Allow to dry fully. Add a thin layer of dimensional magic. Pop or remove any air bubbles. Add embellishments and more dimensional magic if desired. Allow to dry completely. 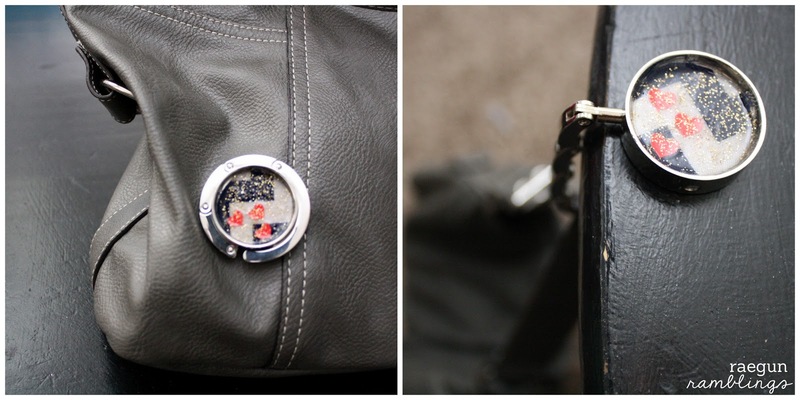 Toss in your purse for the next time you need to hang your bag. Very creative and cute! 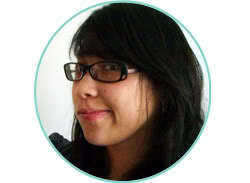 I am your newest GFC follower, and found you via ‘I Love My Friends GFC Hop’. I hope you have a great day! Looks so cool! I love purse hangers – I use mine all the time! Thanks for sharing this at Romance on a dime! !